America is the richest country in the world and yet 1 in 45 children living in the states is homeless. The problem of homelessness impacts about 1.6 million children. Most of the children who are homeless are under the age of 7. 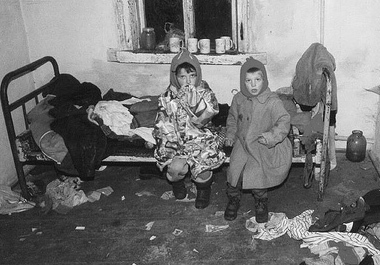 The problem of homelessness among children is getting worse instead of better. In 2010, the increase in the number of homeless children surpassed the record set in 2006, following the displacement of thousands of families as a result of natural disasters such as hurricanes Rita and Katrina. The current state of the economy has contributed to the problem immensely. Many states have cut money and allocations that go toward ending the problem of homelessness. If you believe that children are the future of our country, then you should be concerned because these homeless children have gradually become a prominent part of a third world that is emerging in our own backyards. The problem is that these children are invisible to many. The problem is growing and more children are suffering as a result. The consequences are deadly for many and devastating for the rest. Children experiencing homelessness suffer from poor health, hunger, and very limited chances to receive an education. Failing to address homelessness among children is not only inhumane, it is expensive. The costs associated with treating acute and chronic illnesses affecting the homeless are significant. The long-term costs far exceed what it would cost to increase programs such as Housing First and other initiatives designed to provide stable housing. Another major issue is that studies show children who experience homelessness are much more likely go participate in future crime. The Youth Law Center previously reported in reference to former foster children who later become homeless: “Lack of stability and a permanent home are evident in the extraordinarily high incidence of substance abuse, homelessness and psychological problems among former foster children.” Homelessness among children contributes to juvenile and adult crime. The problem has significant short-term and long-term consequences. It can no longer be ignored. Find out if your state or area has a 10-year plan to end homelessness. These plans are good to review before seeking ways to help homeless children. Write letters and emails to your local legislators and policymakers urging them to make homeless children and families a priority. State legislators and the Governor of your state are a great place to start. Including information and stories from your area can help to strengthen your message. Look for local perspectives on the topic in the form of articles or other information to share with legislators and policymakers. Ask your friends and family to write similar letters. Keep the message consist, compelling, and clear. Ask them to make child homelessness a priority. Ask for more money allocated to programs such as those that provide stable housing for these children. Make phone calls to legislators and policymakers. Ask friends, family, and coworkers to do the same. When these individuals receive a number of calls they are more likely to bring the topic to the attention of the person you are trying to reach. Leaving messages with staff or on voicemail is effective also. Contact the whitehouse and ask the federal government to make child homelessness a top priority: comments@whitehouse.gov or call 202-456-1111. Look for local organizations that address child homelessness. Offer your help in any form you can (time, money, etc.). Provide meals, toys, clothing, and other items for children who are homeless. Ask local churches and businesses to get involved in helping homeless children. Provide them with information about the extent of the problem. Use social media to spread the message. Share this video, articles related to child homelessness, organization websites working to end child homelessness, and other resources to raise more awareness about the problem and what people can do. These children need you to raise your voice and speak for them. 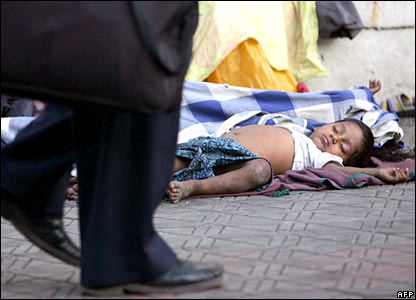 If everyone takes action we can dramatically decrease the number of homeless children suffering in the United States. Please do your part and encourage others to do the same. Learn more at The Campaign to End Child Homelessness and The National Center on Family Homelessness.